The Assignment: Derive something spooky from a specific place. Deadline: This project’s deadline is Monday, October 29, 2018, at 11:59pm (that is, just before midnight) wherever you are on. It was posted in the morning, California time, on Thursday, October 25, 2018. Major thanks to Chris McAvoy for having proposed this project. Step 1: The goal is to create a piece of music that uses layers to create a sense of unease, eeriness, or disquiet. Step 2: Think of a place that summons up the sensations described in Step 1. Step 3: Derive sounds from the place that came to mind in Step 2. If you have access to the place, consider strategies to accomplish this (from field recordings, graphic notations, etc.). If you do not have access to the place, use your memories and impressions as a resource. Step 4: Create a short piece of music using the sounds in Step 3 to achieve the goals of Step 1. 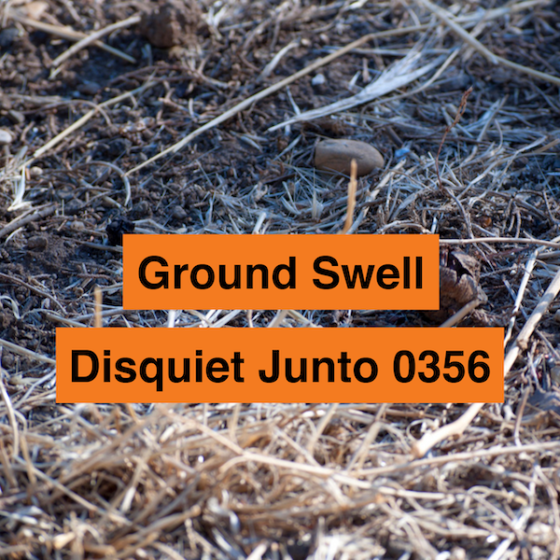 Step 1: Include “disquiet0356” (no spaces or quotation marks) in the name of your track. Step 2: If your audio-hosting platform allows for tags, be sure to also include the project tag “disquiet0356” (no spaces or quotation marks). If you’re posting on SoundCloud in particular, this is essential to subsequent location of tracks for the creation a project playlist. Title/Tag: When posting your track, please include “disquiet0356” in the title of the track, and where applicable (on SoundCloud, for example) as a tag.